ICut two pieces of 3/4"-thick cherry to 1" wide by 20" long for the door stiles (E) and two pieces 1" wid&by 16" long for the rails (F). 2 Using Drawing 1b for reference, rout a Va" round-over along the front inside edge of each door piece. Cut or rout a 'A" rabbet 3/s" deep along the back inside edge to house the glass. 4 With the surfaces flush, glue and clamp together the door frame, checking for square. 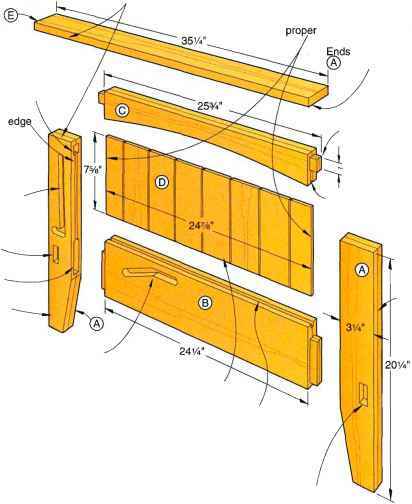 5Build a spline jig to the dimensions shown on Drawing 4. Raise the blade 2" above the tablesaw surface. Now, as pictured in Photo B, cut a Vs" kerf 1" deep in each corner of the door frame. 6Cut a piece of J/s" cherry (we resawed a thicker piece) to 1 Va" wide by 12" long. Next, cut four slip-feather splines to 21/8" long. (See Drawing 4a.) Glue a spline in each kerfed corner of the frame. 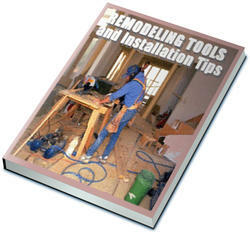 When diy, trim or sand off the protruding spline, being careful not to cut or sand the door frame.